1. She is very angry with her boss and she plans to quit. I hope she doesn’t say anything stupid and burn her bridges. There are not a lot of good jobs available and she will need a good reference. 2. 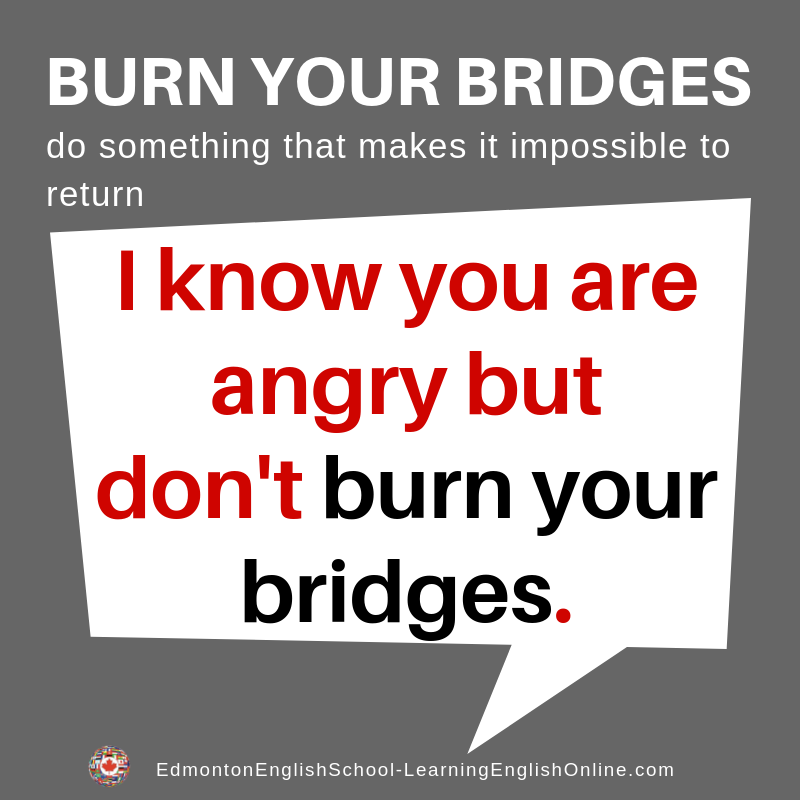 He would like to get back together with his old girlfriend, but unfortunately, when they broke up he really burned his bridges. He said some terrible things to her.